Korea can already take credit for bringing cleansing oils and BB creams into our lives, but 2015 saw Seoul silently surpass Paris as the epicentre of the skincare world. 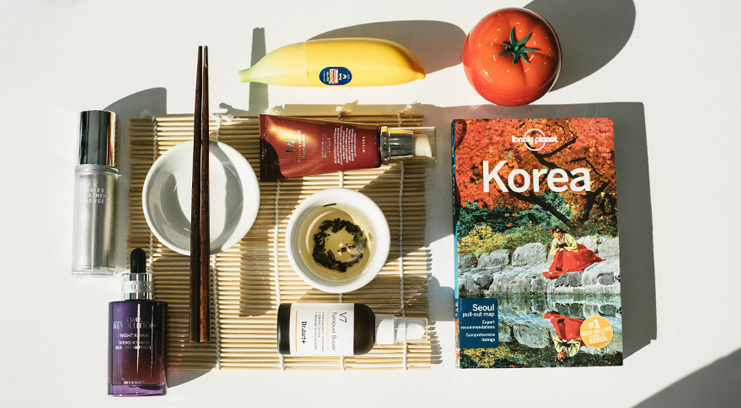 2016 looks set to be the year that the trend booms; from sleep packs to sheet masks, Korean beauty products and trends are fast taking over the Western hemisphere. Dewy, radiant skin is the common beauty standard in South Korea where healthy, hydrated, poreless skin is most definitely in; and what better endorsement than the immaculate complexions of those who practice the renowned 10-step skincare routine? To outsiders, the exhaustive, multi-step process may seem extreme, but it all boils down to a simple concept – ‘minimal makeup, maximum skincare’. Pore-deep and ritualistic, the results-driven routine calls for an enviable discipline, but is well-worth the effort. Find below six ways that you can enhance your beauty routine with the Korean beauty buzz. BB creams (also known as beauty balms or blemish balms) were the first Korean beauty products to take the rest of the world by storm. Essentially BB creams are souped-up tinted moisturisers, with thicker textures and hybrid benefits that combine the merits of foundation, treatment, and moisturiser in one; providing SPF coverage, concealing imperfections, preventing shine, and soothing and hydrating skin. A lighter, healthier alternative to heavy foundations, the additives in BB creams have the same efficacy as standalone serums, and many are fine-tuned to treat specific skincare concerns, from ageing skin to acne. Moisturise, protect, and perfect with cult favourite Missha’s M Perfect Cover BB Cream SPF 42, which promotes an even skintone with a natural-looking finish. The weightless texture is surprisingly pigmented, building easily from a medium to a full coverage that conceals imperfections and discolouration, and brightens dull skin. It’s also packed with skin-friendly ingredients like chamomile and rosemary. 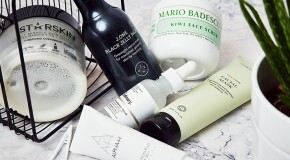 For many, putting serious thought into your daily face wash is far from a priority, but double-cleansing is a fundamental element of the Korean beauty regime; a ritualistic step that asserts the practice of using first a cleansing oil (or pre-cleanse) and then a cleansing foam to properly and thoroughly wash your face. Massaged on in upwards circular motions, the oil cleanser gently breaks down and draws out the dirt, makeup, and oils that accumulate on the face throughout the day. Because oils can block the absorption of active ingredients, it’s important to ensure that all residue (plus any trace makeup and dirt) is efficiently removed prior to applying any other products – hence the follow-up with a cleansing foam to draw out water-based debris and purify the skin. Missha’s M Perfect BB Deep Cleansing Oil melts onto the skin, breaking down and wicking away even super-adherent waterproof makeup residue whilst nourishing the skin with vitamins and antioxidants. Suitable for all skintypes, the luxurious formula is intensely hydrating, and helps to restore and maintain skin’s natural moisture balance. A dense, luxuriously textured cream, Ladykin’s Green Harmony Blueberry Foam Cleanser is as gentle as it is effective – foaming to a rich lather that washes away impurities, and leaving skin soft and luminous. Enriched with blueberry extract, the formula helps to curtail excessive oil production and reduce the appearance of enlarged pores, clearing debris from both the surface and deep within the pores without irritating sensitive skin. Lighter in weight and less concentrated than a serum, an essence is a quick and healthy way to refresh and hydrate your skin. Much like a toner but supercharged with active ingredients that work double-time to improve skin’s quality, an essence is designed to be patted all over the face post-cleanse. RMK’s Barrier Treatment Essence is a powerhouse of hydrating ingredients, the perfect antidote to dry, dehydrated skin, it offers cell-deep hydration that reinforces skin’s barrier function to guard against future moisture loss. Think of ampoules as a high-concentration serum, stripped down to only the most powerful active ingredients. Texture-wise, they have the same viscosity as serums, but unlike traditional serums, ampoules are completely devoid of fillers, so the actives can get to your skin faster and penetrate deeper. Using an ampoule is as close you’ll come to tailoring your skincare routine to meet your requirements – they’re designed to be used over a short period of time in order to treat your most pressing concerns. If you’re dealing with dull, tired skin, Missha’s Time Revolution Night Repair Science Activator Ampoule will help to clear and brighten skin, not to mention reduce the appearance of fine lines. You’ll notice a fresher, healthier complexion in no time. Boosters are the power-up products of Korean beauty, designed to improve your skin’s receptivity and amplify the efficacy of consequently applied products. Whether gel, lotion, or liquid, boosters allow you to put your own bespoke twist on a typically one-size-fits-all routine – especially pertinent when seasonal changes are wreaking havoc upon your complexion. Supplement your skincare routine with Dr Jart’s V7 Turnover Booster, which acts like the dermatological equivalent of a juice shot to restore and rejuvenate dull, damaged skin. Single-use, portable, and potent, the proficiency appeal of a sheet mask speaks for itself. Thin cotton sheets pre-soaked in treatment essence and designed to target specific skincare concerns (all whilst delivering a hefty dose of hydration), sheet masks are the bolt-on boosters of an efficient Korean skincare routine. Used once to twice a week, sheet masks are designed to fit to the contours of the face, packing active and hydrating ingredients onto your skin and preventing them from evaporating before sinking in. Granted, snail gel may sound unusual, but Missha’s Super Aqua Cell Renew Snail Gel Mask is an experience worth paying for. Not least because it makes your face look (and feel) like you just had a facial, but because snail gel just so happens to be rich in powerful ingredients like hyaluronic acid, peptides, and zinc. Studies show that snail gel improves skin’s ability to retain moisture and also has topical wound healing properties. Facial massage is a key element of Korean skincare – rather than simply wipe products across their faces, Korean women take the time to practice ritualistic massage techniques designed to stimulate circulation and help skin to effectively absorb ingredients. Similarly to face slimming techniques like face yoga, regular DIY facial massages help to tighten facial muscles, tone the contours of the face, and drain lymphatic fluids, which carry toxins from the body. With facial massage so concrete a step within a Korean skincare routine, it’s no surprise that there are a wealth of products specifically designed to be used to help massage the skin without rubbing and irritating it. Tony Moly (a cult Korean beauty brand) caters to those who appreciate quality that also comes in cute packaging. Their Tomatox Magic Massage Pack (a thick, emollient cream) conditions the skin with top notch hydrating ingredients, and brightens and clears the complexion with continued use. Hydration is the mainstay of a Korean beauty routine and in the sleep pack, innovation and simplicity combine in a surprising (but satisfying) take on overnight hydration. Designed to capitalise on skin’s overnight process of cell turnover and regeneration, sleep packs seal in previously applied products and provide an extra dose of moisture and skincare benefits while you sleep. Applied as the final step in an evening routine, the (typically) thick gel-like texture absorbs gradually throughout the night, leaving skin smooth, bright, and refreshed come sunrise. Sleep packs may not make up for a lack of sleep, but they will make your sleep more productive. Rich in Vitamin A and potassium, Tonymoly’s Magic Food Banana Sleeping Pack works to brighten the complexion and protect it from environmental damage, all while cosseting skin in a soothing comfort blanket of hydration. Ideal for those with oily, sensitive, or blemish-prone complexions, the water base of the Ladykin Vanpir Dark Repairing Water Mask melts into the skin, drenching it in a lightweight but layer-deep moisture that plumps up skin for a radiant glow come sunrise.